Typical “Diet” foods don’t work for me and they probably don’t work for you either. I’ve tried those 100-calorie snack packs. You know what happens when I’ve eaten one of those 100-calorie pack of cookies? I want another bag. But if I’m hungry and I eat a little salad, if I chew on some broccoli, a few leaves of kale, some crunchy cucumber, or even if i eat an apple, do you know what happens? I’m satisfied. I might have a sugar craving later but that can be satisfied with a single cookie. The point is, most processed food leaves you craving more. Eating fresh fruits and vegetables makes you satisfied. So which one is better to eat when you’re hungry? And, no, it’s not a trick question. The reason some of those diet-foods are low calorie or even zero-calorie is that they’re not actually food. Artificial flavoring and artificial coloring are just chemicals – they’re not actually food. But when we’re hungry, our bodies aren’t necessarily craving calories; they are craving nutrition – vitamins and minerals and proteins to carry out essential body functions. In that respect, calories don’t matter to our bodies, it just needs the nourishment. If your body doesn’t get the nourishment it craves, it keeps craving it, either until you provide it by eating real food, or you stuff it with so much sugar and chemicals that it gets worn out. That second option is a really terrible way to treat our bodies, I think. This is a typical breakfast that I enjoy these days – I add carbs like those sweet potato chunks if I work out in the morning. If I am not exercising in the morning, it could just be straight vegetables and protein. Giving up the processed cereals at breakfast time is the best decision I’ve ever made. There’s something about eating vegetables at your first meal that sets the rest of the day in motion. Some zero calorie foods are zero calorie because they are technically not food. Choose whole foods when you can. Eat them in as natural a state as possible. 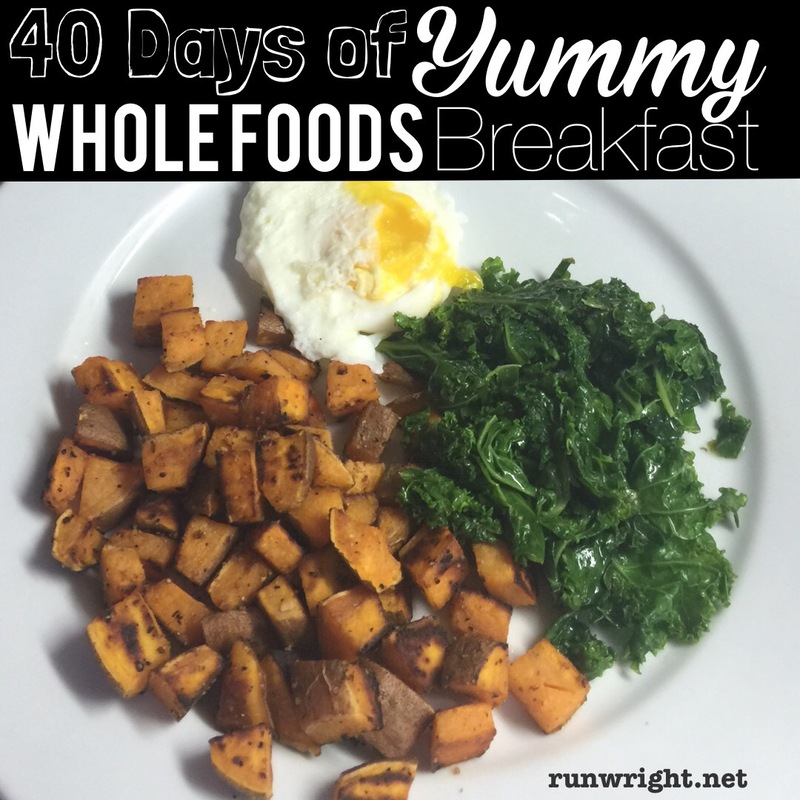 Click here to read the first 40 Days of Yummy post.